We are counted among the prominent organizations engaged in offering Acrylic Watch Display Stand, using transparent acrylic sheet. Our products is available on reasonable prices in the market. 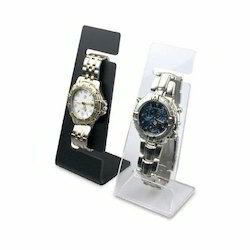 We are providing a wide range of Acrylic Watch Display Prop to our valuable clients. The excellent crafted watch display props will make your products more effectively attractive.The watch display props is made of transparent acrylic sheet material.And also Can print customer's logo type tabletop display. All size and styles are available. It is great for store display. We are providing a wide range of Acrylic Watch Display to our trustable clients. These products are manufactured and developed by our experienced professionals using glass or coloured acrylic, as per the latest market trends. These displays are designed to give optimum comfort and available at industry leading prices. 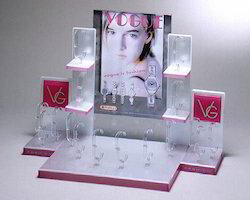 we r the manufacturer of all kinds of acrylic display stand. and we provide good in quality and best price. Looking for Acrylic Watch Display Stand ?